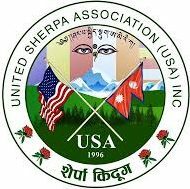 Our Achievements – UNITED SHERPA ASSOCIATION (USA), INC.
United Sherpa Association owns a community center (Sherpa Kyidug) located at 41-01 75th ST, Elmhurst NY-11373 by collecting donations and members’ contribution. The registration shows 42,638 participants from more than 16 different communities have utilized the facility for various events organized only in 2014 and 2015. Currently we have about 200 trustee, 233 life time, and about 100 general members. A Cultural Center (Rigshyung Lapta) established by the association in 2008 has been able to put together the rare cultural and religious festivals, the way they have been celebrating in remote Himalayan villages for centuries. The center has been conducting classes on culture, language, and music for various age groups on weekends. The facility is available for other community activities during weekdays. Our Youth Sports have been very effective media to educate the younger generation on cultural knowledge and skills beside their physical, mental and social development. The association has been running training sessions and annual sport events since 1998. More than 500 youths from different communities in Tri-state region and teams from other states have been participating in various sports tournaments organized by the association every year. The association has established Scholarship Fund with seed money for higher education to the most deserving candidates from the disadvantaged communities. Four students were able to continue their higher education with the scholarship since 2016. We have been facilitating and supporting different communities to organize various cultural functions; seminars on relevant issues; delegations to different organizations including United Nations; blood donations; and senior citizen activities. The association has been actively responding to the natural disasters and supported many initiatives for humanitarian causes such as NYC Mayor’s Fund for Haiti Earthquake Relief-2010; Nepal Earthquake Relief Fund-2015; Everest Disaster Relief Fund-2012 etc. The association has collected more than $138000.00 for the Nepal earthquake relief and distributed relief materials to the victims of the massive earthquake. Lately the association have initiated for cooperation with the New York City Council, Mayor’s office, and other organizations. The association was able to collaborate with the NYC council to set up and host a pop-up center at United Sherpa Association’s cultural center located at 41-58, 73rd Street Woodside, NY 11377 for the distribution of IDNYC. The IDNYC was distributed from this center from 31st May till 8th of June 2017. Targeting the local indigenous communities, IDNYC forms were also made available both in Nepali and Tibetan languages.